Styled with the iconic sweatpant and gold creek short . 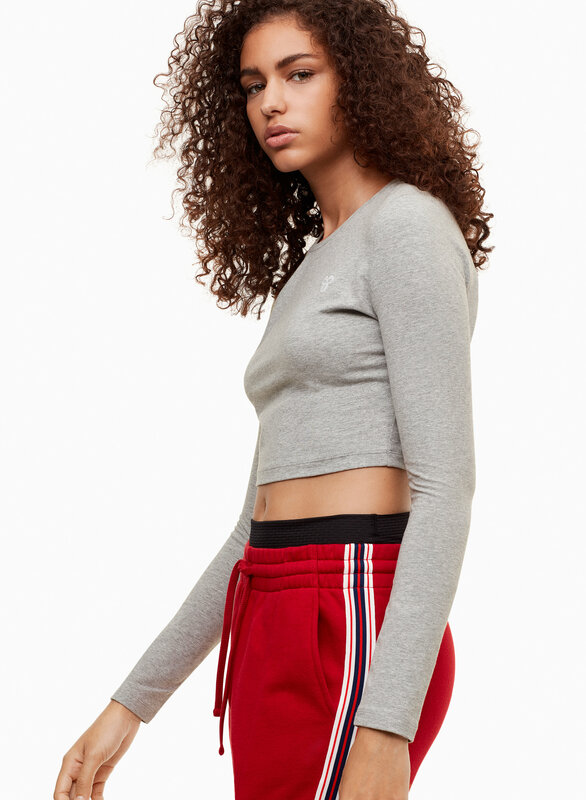 This cropped tee is made with AurantTM — a soft stretch jersey for all day, every day. The cropped silhouette pairs well with high-rise bottoms.